Europe's imprisonment rate has continued to fall in recent years, according to a new report published on Tuesday. It dropped 6.6%, from 109.7 inmates per 100,000 of people in 2016 to 102.5 last year, according to the Council of Europe. Here are the other key takeaways from the council's 2018 penal statistics, which covers 47 countries in Europe. Who has the highest proportion of people behind bars? Russia has by far the highest proportion of people behind bars in Europe, with 418.3 inmates per 100,000 of the country's population. Many ex-Eastern Bloc countries also have high incarceration rates: Russia is followed by Georgia (252.2), Azerbaijan (235) and Lithuania (234.9), the highest in the EU. Europe’s lowest incarceration rates were found in Iceland (46.8), Finland (51.1), Netherlands (54.4), Sweden (56.5), Denmark (63.2) and Norway (65.4). This data does not take into account countries with less than 300,000 inhabitants. Who has seen the biggest decrease in incarceration rates? 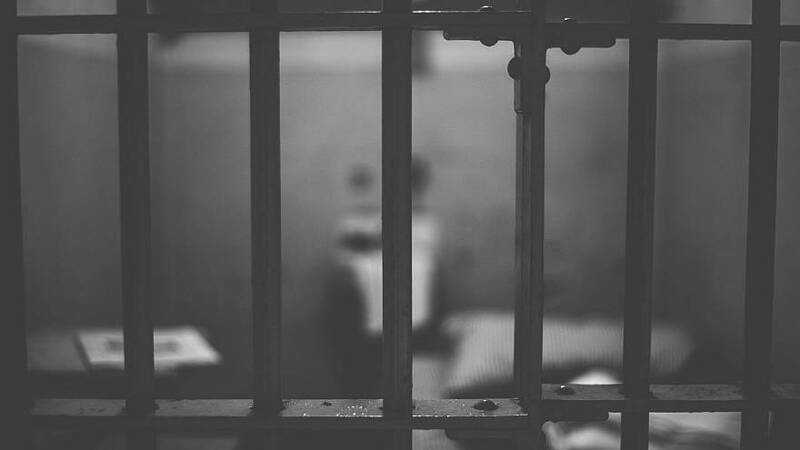 The proportion of people jailed in Romania (-16%) and Bulgaria (-15%) fell the sharpest between 2016 and 2018, the report revealed. The next biggest decreases — over the same period — came in the Nordic countries of Norway (-11.6%) and Finland (-9.9%). North Macedonia (-9.7%), Armenia (-8.7%), Latvia (-8.4%) and Luxembourg (-7.1%) all saw significant incarceration rate decreases as well. Who has seen the biggest increase in incarceration rates? Iceland had the biggest jump in the proportion of people behind bars between 2016 and 2018, recording a 25.4% increase. The next biggest hike was Italy, with 7.5%. Iceland also has the highest proportion of female inmates in Europe, at 9.8%. Other countries which saw a significant increase in incarceration rates include the Netherlands (+5.9%), Denmark (+5.8%) and Montenegro (+5.5%). Where is prison overcrowding worse? Prison density, an indicator of possible overcrowding, remained relatively stable, however, it varied greatly between countries. Overall 91.4 of every 100 available prison places in 2017 were occupied, slightly higher than in 2016 (91.1). Eight countries from all corners of Europe reported a serious problems of overcrowding in their prison administrations: North Macedonia (122.3), Romania (120.5), France (116.3), Italy (115.0), Republic of Moldova (113.4), Serbia (109.2), Portugal (105.9) and the Czech Republic (105.6). Which country has the highest prison suicide rate? The European prison mortality rate in 2017 was 26 inmates per 10,000 inmates, while the prison suicide rate was 5.5 inmates per 10,000 inmates. France had the highest suicide rate per 100,000 inmates at 12.6, just ahead of Austria at 12.3, and Germany at 11.8.